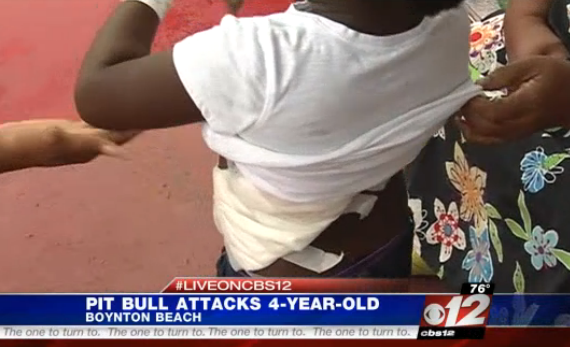 FLORIDA -- A pit bull with a bad record attacks a girl, and it was all caught on tape. 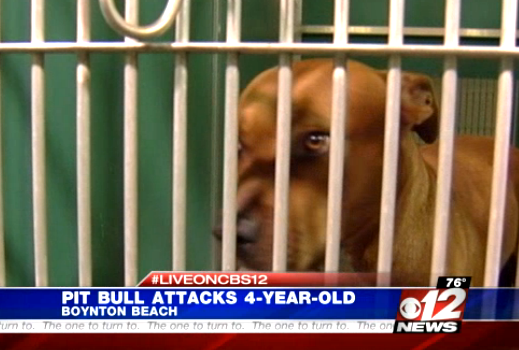 Right now that pit bull is at Palm Beach County Animal Care and Control. 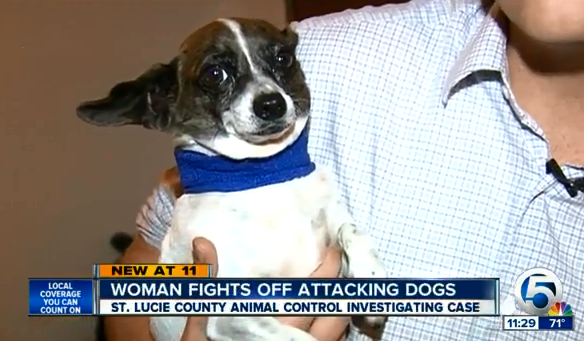 CBS 12 News found out that this wasn't the dog's first attack. A police report says the dog's owner left his gate open. The victim's grandmother said, "All I could say was please Lord please don't let anything bad happen to my baby, like I said she's only a child." Four-year-old Zamaria Williams is out of the hospital and smiling, but she has a lot of bandages. 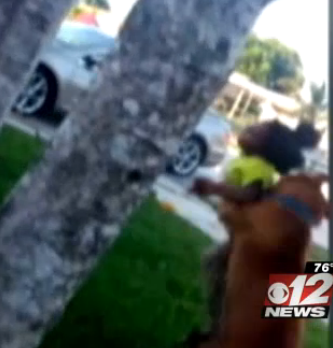 The family says the pit bull clamped down and wouldn't let go, It happened in a Boynton Beach neighborhood Tuesday. 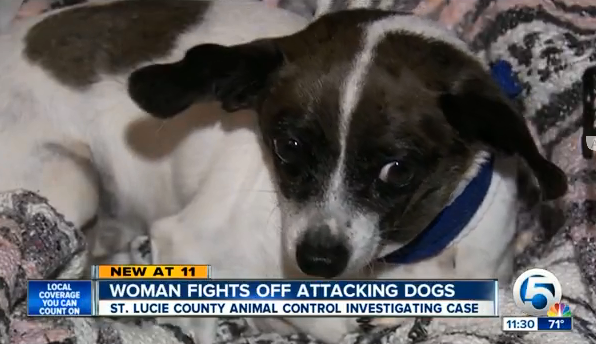 CBS 12 News found out that this same dog had at least one bite case on record from Christmas Day 2012, and there may be even more. 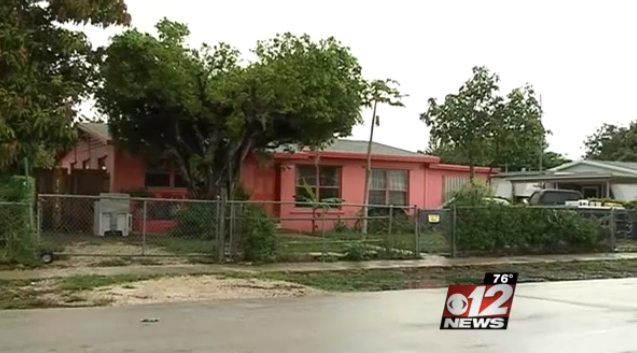 The dog's owner didn't want to talk with CBS 12 News on camera Wednesday night. Right now the dog is quarantined again while officers investigate this latest bite. 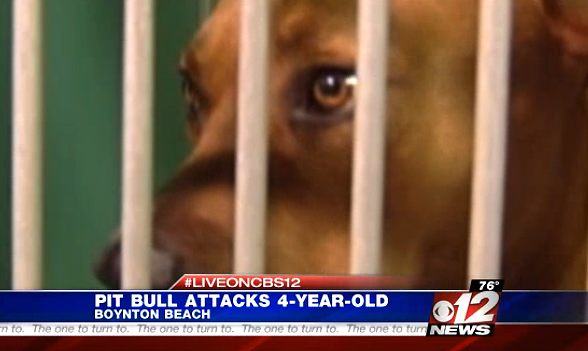 CBS 12 News wanted to know why this dangerous dog was still in this Boynton Beach neighborhood. Right now we are still waiting on an explanation from authorities [deserving of a "bad cop" label]. 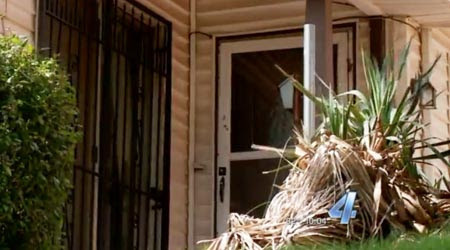 OKLAHOMA -- An Oklahoma City woman known for her love of animals faces animal cruelty charges after police say she killed her dog. 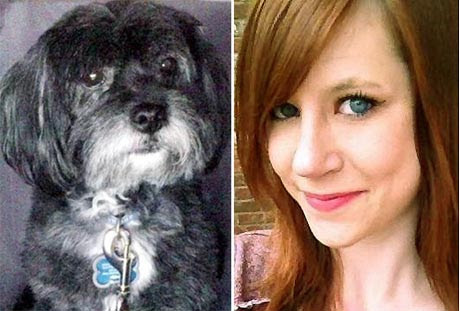 Neighbors like Willis Moses know 22-year-old Sammie Rebecca Bruhwiler as the lady with her little dog. Her friends say it was a Shih Tzu. “She seemed very happy with the dog, and I thought it would be alright,” said Moses. Then, the unthinkable happened. Just before 11:30 Thursday night, Susie Rogers heard a scream. “Like hysterical screaming real loud,” said Rogers. 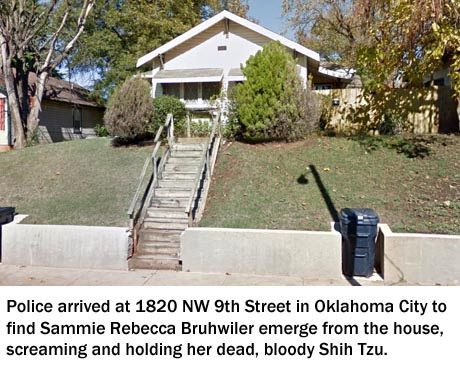 When officers arrived, they found Bruhwiler, seemingly drunk, holding her dead dog. Its fur was matted with blood. Inside officers say they found puddles of blood and two knives, also covered in blood. According to the police,the woman told the officer that her dog had pus and fleas. She said her mother told her she should shave or cut the dog’s fur. Officers say they found blood throughout the home. 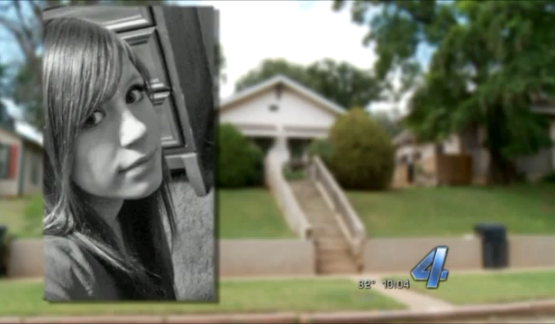 They also found two knives, a pocket knife and a silver blade, covered in blood. Investigators say Bruhwiler told them the dog was in the backyard and started coming toward her, but they say her story did not add up because there was no blood in the backyard. On top of being stabbed and sliced with knives, it appears that the little dog was finally killed by being either strangled or suffocated. Bruhwiler’s friends wouldn’t go on camera but say she loved animals so much. They even say she volunteered at the shelters. 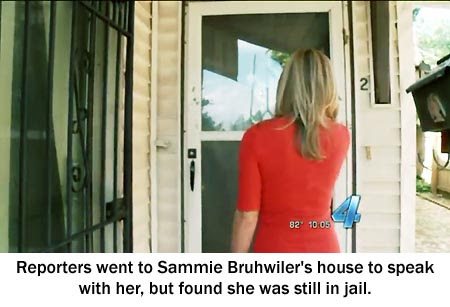 Bruhwiler was arrested on an animal cruelty complaint. She was booked into the Oklahoma County jail, where she remained Friday morning with bail set at $2,000. FLORIDA -- It's a video that has people talking on social media. 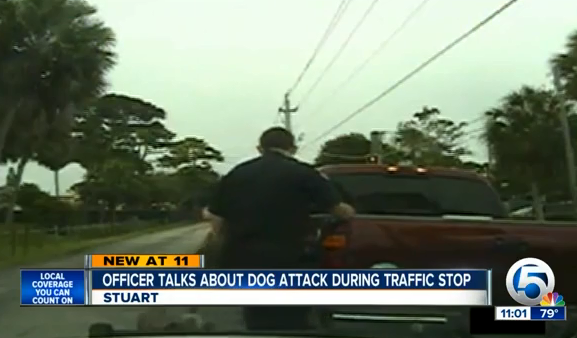 A police officer pulled someone over in Stuart and then was attacked by three dogs. The attack was caught on the camera inside his patrol car. 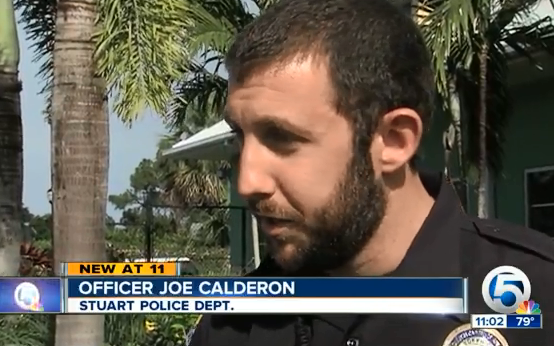 "It just happened so quick," says Stuart Police Officer Joe Calderone. "They bit my right knee and behind my left thigh," says Ofc. Calderone. 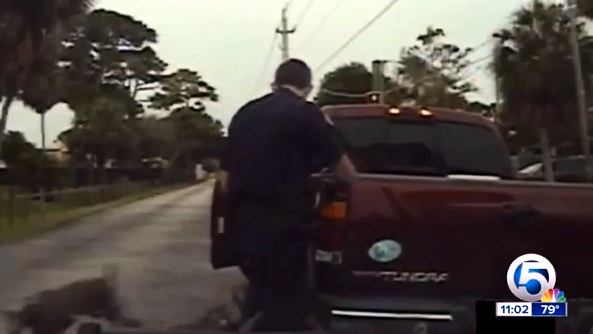 He then runs off camera to the passenger side of his patrol car to get away from the dogs. "Just a quick thought to get some separation from the dogs, get some distance in between so I didn't keep getting bit," says Ofc. Calderone. It all began when Ofc. Calderone pulled the woman over for speeding last Thursday. He went to a wellness clinic after the incident. His injuries have healed quickly. "They cleaned it up, put a bandage on it, gave me a tetanus shot," says Ofc. Calderone. He thinks the dogs were trying to protect their owner. He's relieved he was able to get away. "Nobody wants to shoot a dog especially with their owner right there," says Ofc. Calderone, "Luckily I didn't have to." 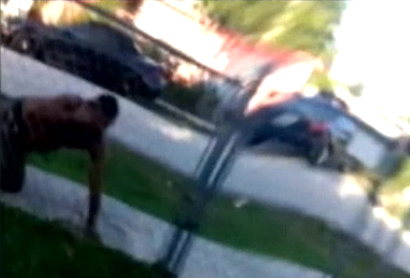 The Stuart Police Department says officers don't receive formal training for situations like this one. The video is a good lesson for everyone. "Obviously officers will be more alert in these situations and we ask people if you do have dogs that could be aggressive to let us know right off the bat, roll down your window and tell us that," says Ofc. Brian Bossio. Police say the dogs' owner was cited by animal control. 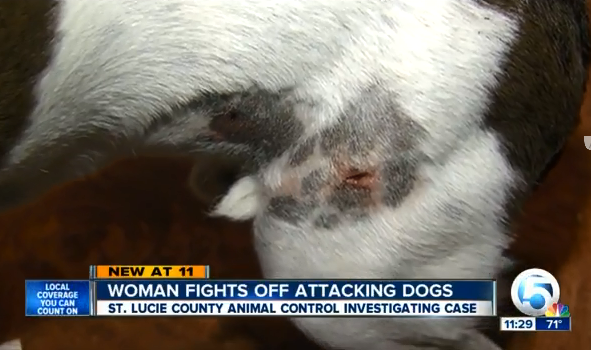 Woman uses shotgun to save her small dog from two pit bulls - then defends pit bulls as "very good dogs"
FLORIDA -- A Fort Pierce woman is living in fear after she says she had to use a shotgun to save her small dog from being killed by two pit bulls. Those dogs are still living next door to her. 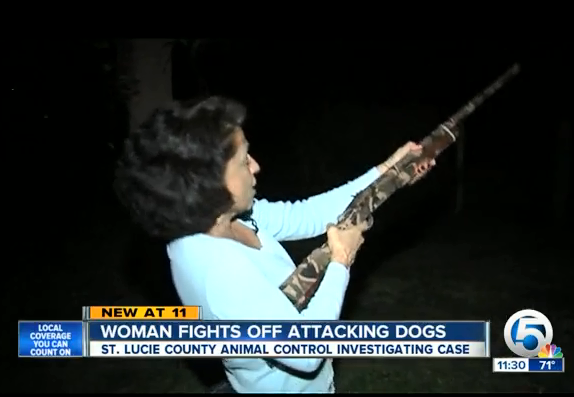 But St. Lucie County Animal Control is investigating to see if that should change. 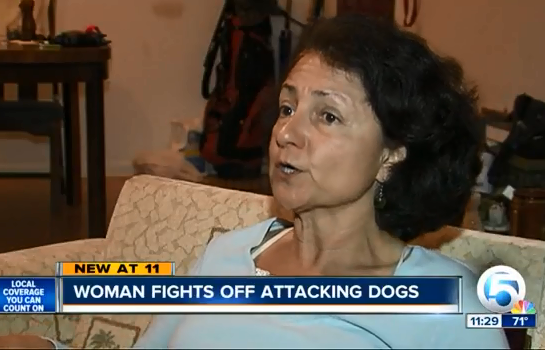 Thursday evening, Patricia Saenz said her Chihuahua mix named Skippy was under attack. 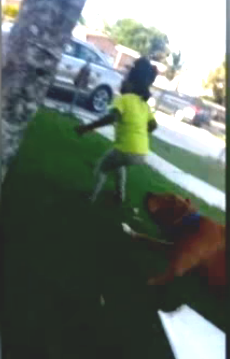 Saenz said pit bulls from the next door neighbor's yard came over and went for the five year old, eight pound dog. "All of a sudden I hear squealing; loud squealing like I have never heard before," said Saenz. 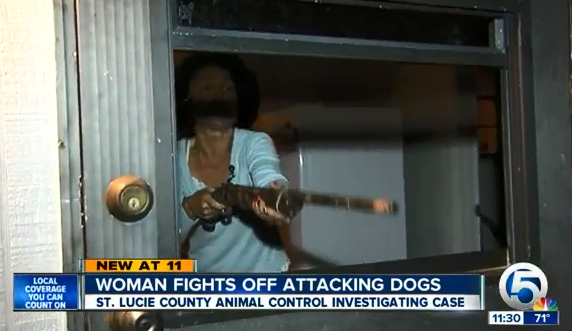 She said two much larger pit bulls were going after her dog. She grabbed her shotgun. 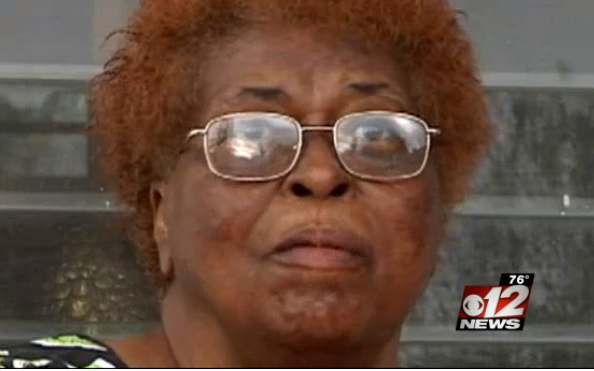 "The dogs were right here attacking my dog so I took the gun - boom!," she said. "I shot at them and they scattered." Saenz said the ordeal did not end there. "They backed up. And when they backed up, I grabbed Skippy." She put Skippy inside the house and then Saenz said she had to defend herself. "I closed the door and they're trying to come in," she said. "So I took the gun again and - boom - I shot them again." "I miss them but I hit them in the ear and they took off running back in their yard," said Saenz. "That was the end of that." Saenz' dog was alive, but with several puncture wounds to his neck, stomach, back and legs. "I thought that he was in shambles," she said. "Before I got to him to look at him, I thought he was all torn up. I didn't even want to look." 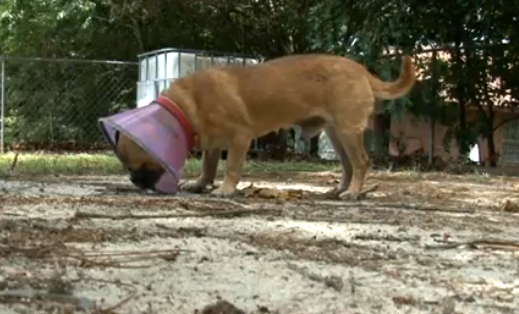 St. Lucie County Animal Control officers arrived and cited the dogs' owner for three violations - an $850 fine. Saenz said she has no ill will towards the pit bull breed. "They're very good dogs. They're very protective dogs and there's nothing wrong with the pit bull breed," she said. "It's the owners. That's the problem." The owner of the dogs may have to surrender his animals if animal control deems them as 'dangerous'. For at least the rest of this weekend, the pit bulls are still right next door. That could all be changing as this investigation continues into next week. FLORIDA -- Despite the attack and accusations of previous aggressive behavior, Sazzi is not officially classified as a dangerous dog. The reason: accusations of previous attacks were never properly reported. 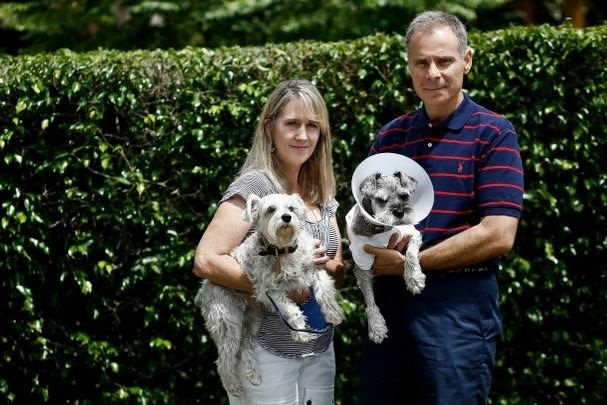 UNITED KINGDOM -- A man has spoken of being “petrified” when two out of control dogs made a beeline for him as he walked his own pet in a public field next to Marriott’s Way in Taverham. Mark Marshall, 48, was bitten on both hands and on his kneecap, and his dog, Hector was nearly killed in the attack. 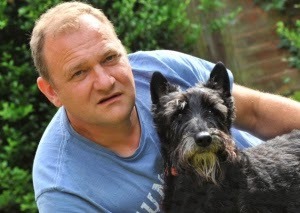 The self-employed engineer said: “A black Staffie-type dog came running towards me and my dog. It went for my dog, pinned it down, and I went to help. The attack happened at about 11pm on June 2, and Mr Marshall said his dog, which needed veterinary treatment, was still limping now, and he was not sure if it would fully recover. He spent five hours at the Norfolk and Norwich University Hospital. He said: “I needed sterostrips to the top of my finger. I’ve still got scars on my kneecap and canine marks. I was given antiobiotics. Witnesses should call PC Jack Weaver at Aylsham police station on 101. 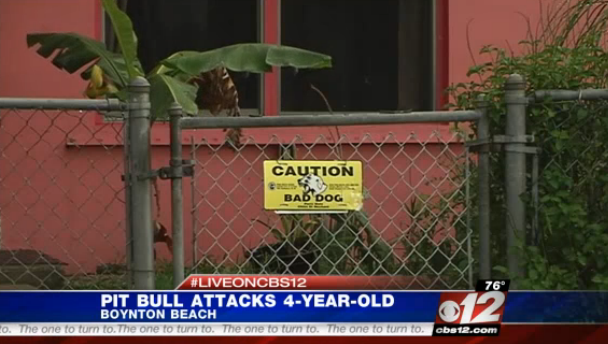 FLORIDA -- A pit bull is being called a neighborhood nuisance after it went on the attack against a dog half its size, and residents are saying this is not the first time the pit bull has shown its bad side. 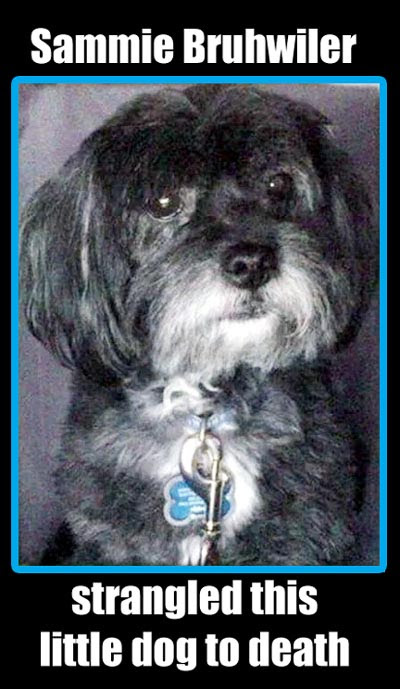 Jorge Ramos was walking his dog in the White Plains area of Sunrise when he said the pit bull suddenly attacked his Schnauzer, Scotty. Markely Medina lives a few blocks away from Ramos and his dog. He witnessed the attack. 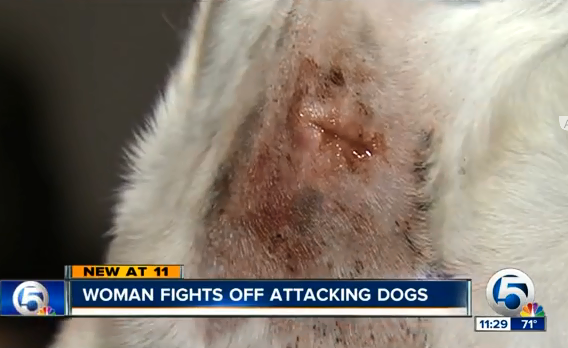 "I was walking over here, and at first, I don't really know what's going on, I don't know if it's two dogs wrestling, and then I see the pit bull," said Medina. 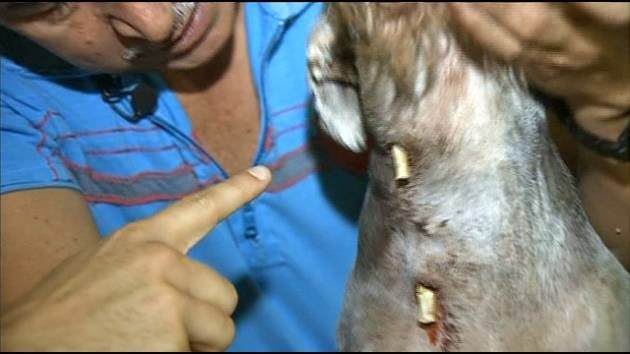 Medina was driving home on Saturday evening when he saw Ramos trying to tear the pit bull off of his dog Scotty. 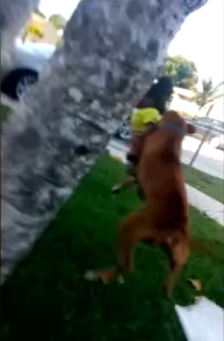 "The pit bull is just mauling the dog, just destroying him," said Medina. The pit bull eventually stopped attacking Scotty when Medina scared him by throwing a water bottle. "I threw the water bottle really hard," said Medina. After the fight, Scotty was in very bad shape. He had a large bite wound on his neck. Medina drove Ramos and his dog to the vet, even though they had never met before the attack. "I did not know him at all," said Medina. Ramos believes that had it not been for Medina's help, Scotty would have died. After the pit bull encounter, Ramos was left with a few scrapes on his body, a large vet bill and anger at the pit bull's owner. "The pit bull owner-- not the pit bull-- is to blame," said Ramos. 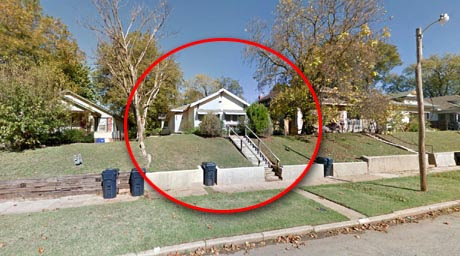 The pit bull has been known to roam loose around the neighborhood. In the end though, because of the incident, Ramos and Scotty now have a new friend. "I spent all night with them at the emergency hospital," said Medina. The owner of the pit bull has been fined $500 and will also have to appear at a court hearing in October. At the hearing, the county will recommend that the pit bull be muzzled. UNITED KINGDOM -- A woman whose guide dog was bitten by a Staffordshire Bull Terrier has spoken out about the “terrifying” ordeal. 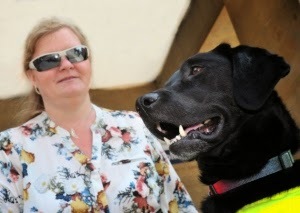 Mhairi Claxton, who can only see shadow-like shapes, was walking along King Street in Norwich when her guide dog Bramble was attacked. The 41-year-old said she heard a dog growling, then it suddenly clamped its jaws around the neck of six-year-old Bramble - a black Labrador. “For me it was terrifying, but I eventually got the dog off,” she said. “It just seemed like it took forever, although it was probably only a few minutes. She said she had to open the Staffy’s jaws to get it off, and while Bramble did not suffer puncture wounds there was internal bruising. 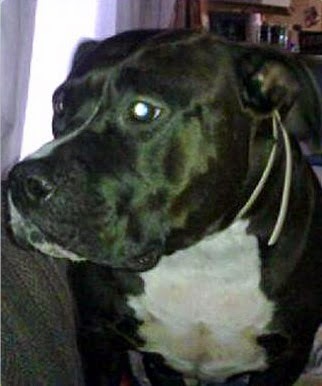 Mrs Claxton said she told the Staffy’s owner to muzzle the dog, but the woman left the scene. Another couple, who were passing by, drove Mrs Claxton and her guide dog to Chapelfield Vets for help. She added Bramble was shaken up by the incident, but was still able to work. who police believe may have information about the incident. 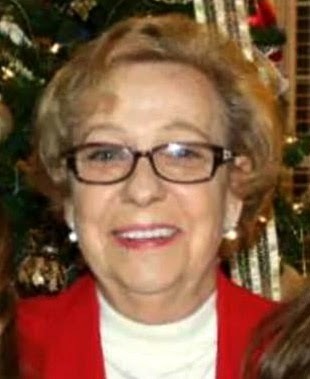 The attack happened at around 11.30am on Tuesday, June 17, when Mrs Claxton was on her way to pick up a prescription. 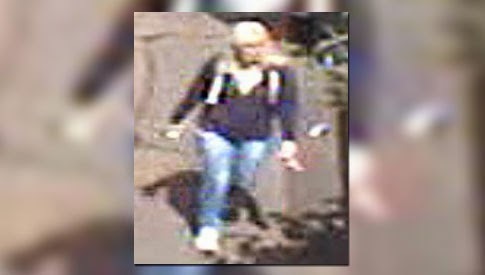 Police are investigating, and have released a CCTV image of a woman they would like to speak to in connection with the incident. Anyone with information should call PC Michael Pearce at Bethel Street Police Station on 101. PENNSYLVANIA -- A pit bull was shot and killed after attacking a North Middleton Township Police officer on Friday night. According to police, the officer was assisting state police in a search for a suspect in the 500 block of McClures Gap Road when the dog charged at him, attempting to bite his left arm. Police say the officer drew his gun as the dog attacked his left leg. 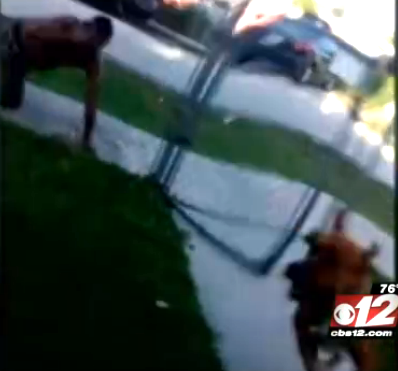 When the officer was bitten police say he fired two rounds at the dog’s upper body. The pit-bull did die from his injuries and the officer was transported to a Carlisle Regional Medical Center for treatment. 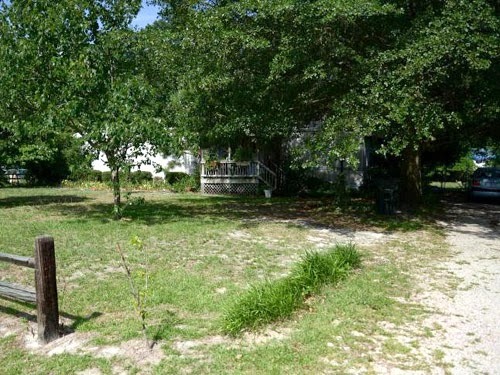 NORTH CAROLINA -- A 71-year-old woman watering plants outside her home was seriously injured after being attacked by four dogs Wednesday morning, the Wayne County Sheriff’s Office said. Authorities received a 911 call around 6:45 a.m. from someone reporting that an animal or object was under attack on Country Run Lane near Goldsboro. It took a second 911 call for authorities to determine the animals were attacking Mildred Game. Animal control officers, sheriff’s deputies and emergency crews responded to Game’s home, where a deputy shot one of the animals – which a Wayne County spokeswoman described as being pit bulls – after it charged at him, Maj. Tom Effler said. The three other dogs were impounded, Effler said. Game’s pit bull, Diamond, which tried to protect her, also suffered injuries and had to be euthanized, her son, Bobby Game said. Mildred Game was being treated Wednesday evening at Vidant Medical Center in Greenville. "The puncture wounds and gashes are way into the hundreds," he said, adding that his mother was attacked from behind. 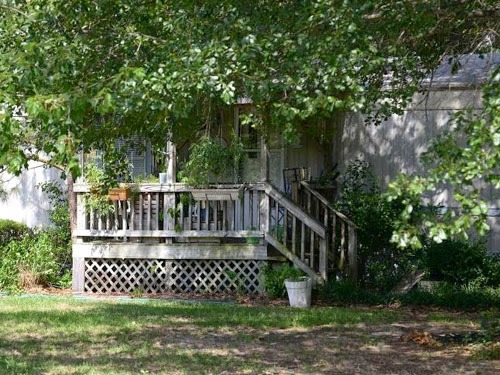 Six chunks of flesh were missing from her body, and he said his mother suffered teeth marks all over her arms and legs. 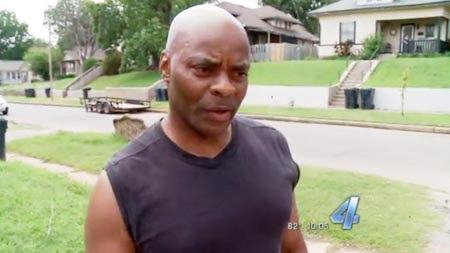 "It makes me ill that they can't control their dogs or train their dogs the right way," Bobby Game said. The dogs’ owner, Terry Butler, lives next door to Mildred Game and said he was shocked to hear what his dogs did. 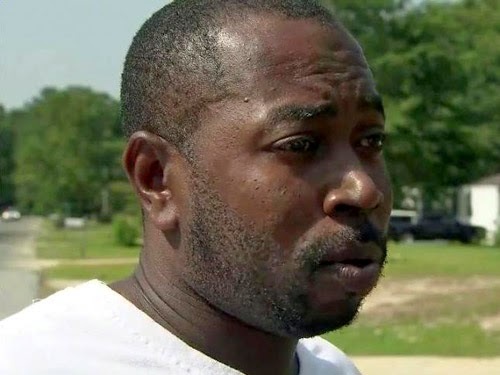 “I just want to tell Mrs. Mildred that I am sorry for what happened, and whatever I can do to make it right – I mean, there is nothing I can do,” Butler said. Neighbors say they have been concerned about Butler's dogs, and one said they thought it was just a matter of time before someone was hurt. "I guess he attempts to keep them penned up, but they come out of the gate anytime they want to, they act vicious," said neighbor William Johnson, who also said one of his dogs was killed by Butler's dogs. Butler said he doesn't know why his dogs attacked Mildred Game. "My dogs are puppies, I can't say what caused the attack, what made the dogs become like they became," he said. "None of my dogs are vicious." Authorities say the case is under investigation and could not say if charges will be filed. For now, Bobby Game is worried about his mother's health - and the cost of her recovery. "She is not a wealthy woman that can pay for what she is fixing to have," he said. "And (the medical bills) are stacking up. They are stacking up as we talk." The attack happened in the backyard of the family's home. 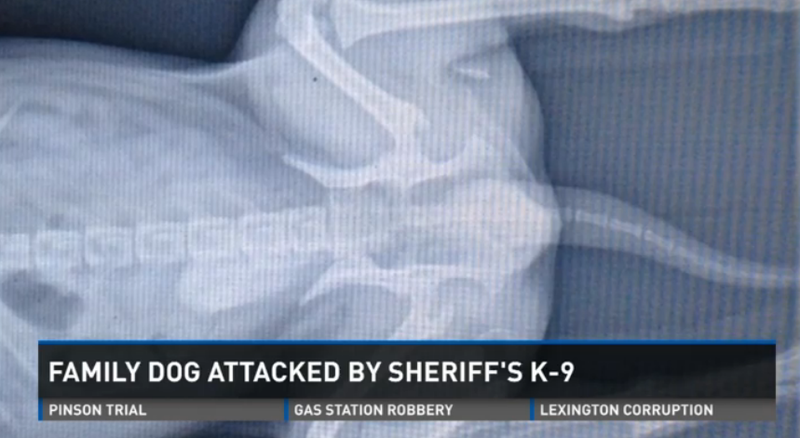 The dog that attacked it is owned by the Richland County Sheriff's Department, which is taking full responsibility, but the family is upset and wanted to share what happened. 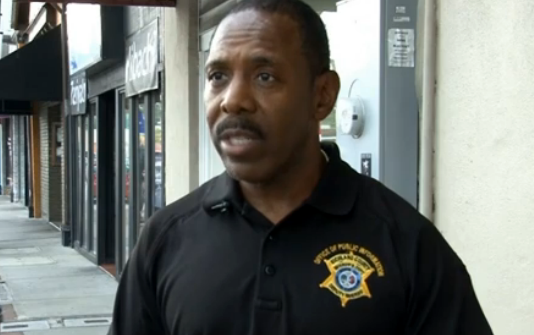 "The situation that happened is a tragic situation, horrible, it's a situation that should have never happened," said Richland County Sheriff's Department Public Information Officer Sergeant Curtis Wilson. 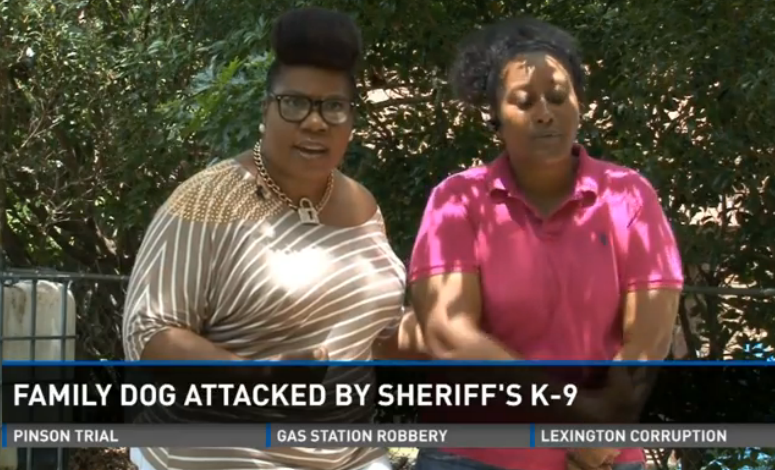 The Pomeranian that was attacked is owned by Lisa Gidderon and Licole Dotson-Gidderon. 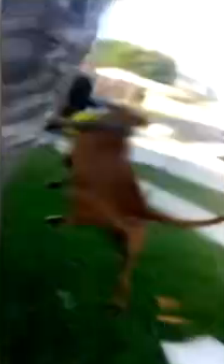 "I turned around, and said something to Licole, turned back around, and noticed that's when a dog was in our yard with my dog in it's mouth," Lisa Gidderon said. The pair has two small dogs, Zion, the Pomeranian, and Alvin, a Pug, that they said were playing in the back yard of their home Wednesday evening. Their neighbor is a sheriff's deputy, and he takes his K-9 partner home after shifts. 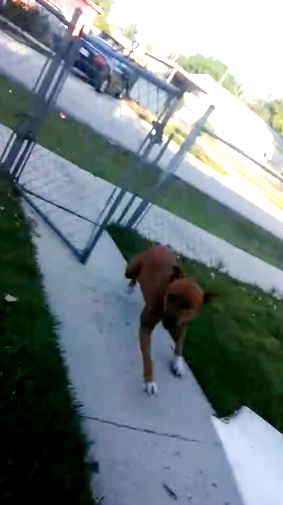 The Richland Sheriff's Department confirms that dog jumped a fence dividing his yard with their own and attacked Zion. Richland County's animal control was called to the scene and took a report that states the next day, a citation was issued to the deputy for letting the dog out of his yard. However, the report says the deputy refused the citation, telling animal control the K-9 officer was protecting him because it saw the Pomeranian and Pug as a threats. 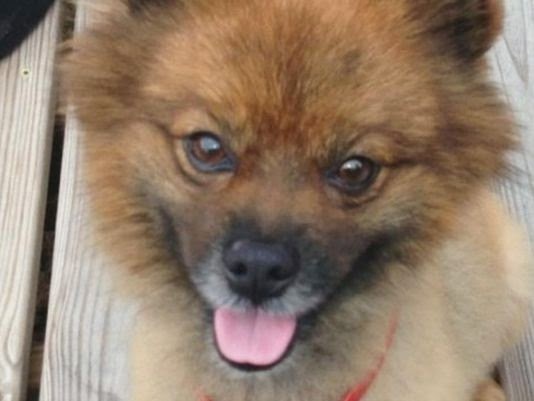 "He has never aggressively went toward anyone," Dotson-Gidderon said, referring to the Pomeranian. "I don't feel safe with that dog around me." Wilson said the sheriff's department is still investigating the case. After suffering two broken legs in the attack, the Pomeranian has undergone two surgeries to recover, Gidderon said It is expected to make a full recovery. In a statement released late this Friday afternoon, the Richland Sheriff's Department said they will accept any citation that is issued. They also said it will pay for the medical bills, which amounted to about $3,000, Dotson-Gidderon said.